The Google Apps platform continues to become more and more popular for small businesses, enterprise, and even individuals. Gmail is something that everyone seems to be at least mildly familiar with these days. Many people out there enjoy the web interface – it prevents them from needing to keep up with software updates manually and they have everything they need in the browser. Others, like me, are stuck in their ways and enjoy using Apple’s native Calendar apps on Mac, iPhone, and iPad. The calendar and notifications integrate in a great way across devices when using the Apple apps. The tricky part comes in the initial setup. If you have a single Google Calendar, it may just be as simple as adding the account like you would any other on an Apple device. I’ll spare you the step-by-step here for adding the account, but there’s a problem: you may only see a select handful of the calendars that have been shared with you. Google will ask you to log in with your Google Account username (email) and password. When you log in, you’ll see a screen that lists calendars found in My Calendars or Shared Calendars on Google. Simply check off the ones you want to sync to your Apple devices and uncheck the ones that you no longer need on other devices. 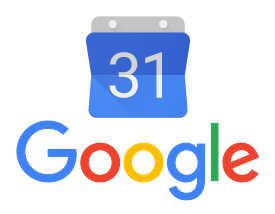 NOTE: You’ll need to make sure the calendars are already visible to you in the Google Calendar interface on the web (http://www.google.com/calendar). Go back to your device and refresh your calendars. You may need to quit & reopen the app to do this. After a few minutes, you will start to see your other calendars starting to filter in. If you only want to view certain calendars on a certain device, there are options available to “uncheck” those calendars from view. Remember this trick when adding a new account to your Google Apps domain!